Posted in: 1 Pageant Pages, 2 Shout-out-Looks. 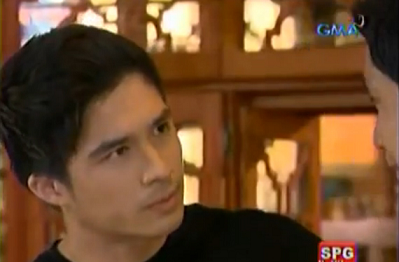 Tagged: Mr. World Philippines 2014, My Husband's Lover, Vince Velasco. 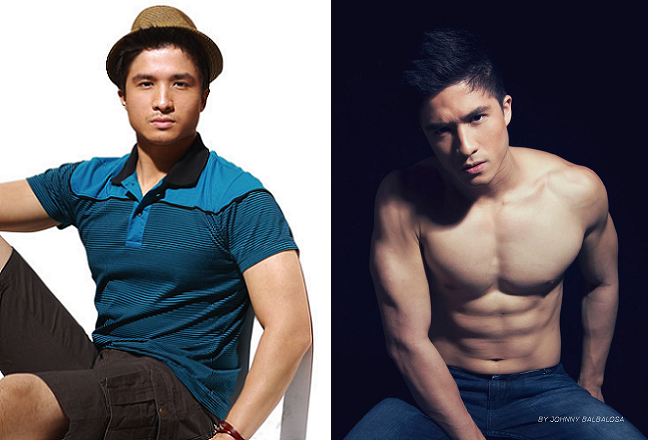 Will Daniel Velasco’s brother also do for Mr. World Philippines 2014? Aside from being referred to as the brother of Daniel Velasco (featured here last week), Vince Velasco is more familiar to televiewers who might have seen him play the role of Mike (the gay live-in partner of Victor Basa’s character) in the hit GMA teleserye “My Husband’s Lover”. Prior to his TV debut, he has been seen walking the fashion ramp during his college years at Ateneo de Manila University. 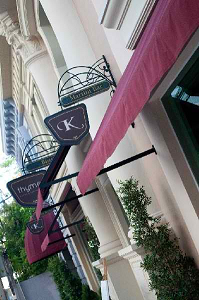 Posted in: 2 Shout-out-Looks, 5 TV Tales. Tagged: Araneta Coliseum, Carla Abellana, Dennis Trillo, GMA-7, My Husband's Lover, Tom Rodriguez. For those who missed watching it at the Araneta Coliseum last October 12, the My Husband’s Lover concert will air tonight on GMA-7 on SNBO at around 10:00 PM or right after Imbestigador. The entire cast of the hit pink teleserye – which ended just last Friday – will perform song, dance and whatever-have-you numbers that will either amuse or make you swoon with delight. Everything is set for the MWP2013 finals! Posted in: 1 Pageant Pages. Tagged: Carla Abellana, Dennis Trillo, GMA-7, Gwen Ruais, KC Montero, Miss World Philippines 2013, My Husband's Lover, Rico Gutierrez, Solaire Resort and Casino, Tom Rodriguez, Victor Basa. 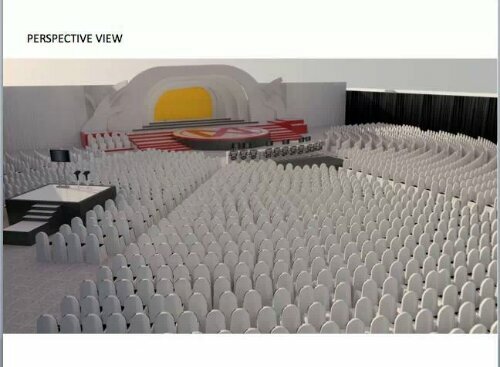 This is how the Solaire Grand Ballroom will look like tomorrow night. 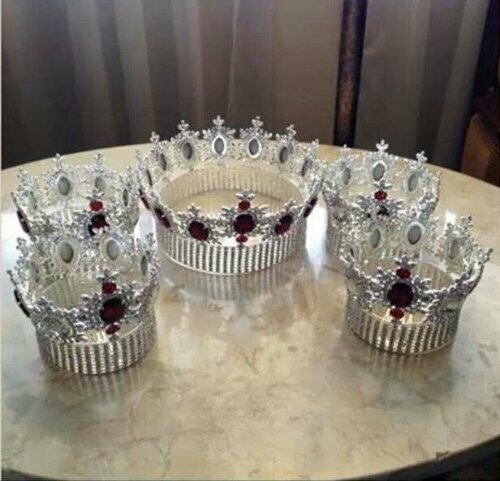 And these will be the crowns of MWP2013 and her four Princesses. The Coronation Night of Miss World Philippines 2013 is almost set. The venue will be neatly arranged like the photo above which is inside the huge Grand Ballroom of Solaire Resort and Casino. GMA-7 will be airing and Rico Gutierrez directing. The hosts are ready, with KC Montero, Victor Basa and Carla Abellana onstage. MW2011 Gwen Ruais will be the anchor. Special guest performers will be Dennis Trillo and Tom Rodriguez of “My Husband’s Lover” fame. And one of the 25 Official Candidates will come out victorious. She will be instantly swept off her feet for the nearing departure date for Indonesia. 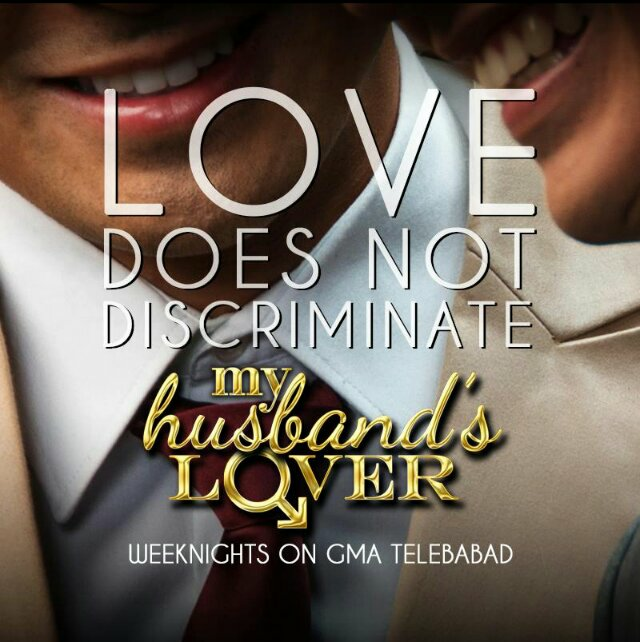 “My Husband’s Lover” premieres on GMA-7 tonight! Posted in: 5 TV Tales. Tagged: Bettina Carlos, Carla Abellana, Chanda Romero, Dennis Trillo, Dominic Zapata, Glydel Mercado, GMA-7, Karel Marquez, Kevin Santos, Kuh Ledesma, My Husband's Lover, Pancho Magno, Suzette Doctolero, Tom Rodriguez, Victor Basa. It is not wont in this blog’s nature to vigorously promote a new teleserye premiering on Philippine TV. But I will make a rare exception with “My Husband’s Lover” because never before has such a daring theme been used full-blown for an entire season. Love triangles of the two-men-fighting-over-the-same-woman type come and go. But not the man-and-woman-fighting-over-the-same-man spin. Given the small screen-sensitive subject matter, the MTRCB has approved its airing with a rating of SPG (Strict Parental Guidance) and a late primetime sched. I’d like to see how far they will push the free-tv-envelope, so to speak. 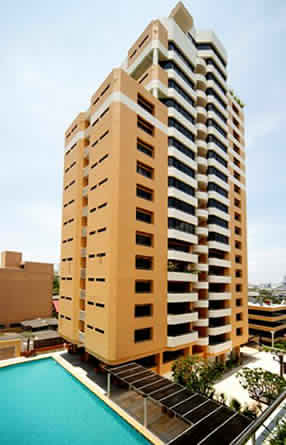 “My Husband’s Lover” is created by Suzette Doctolero (of “Amaya” and “Indio” fame) and directed by Dominic Zapata. 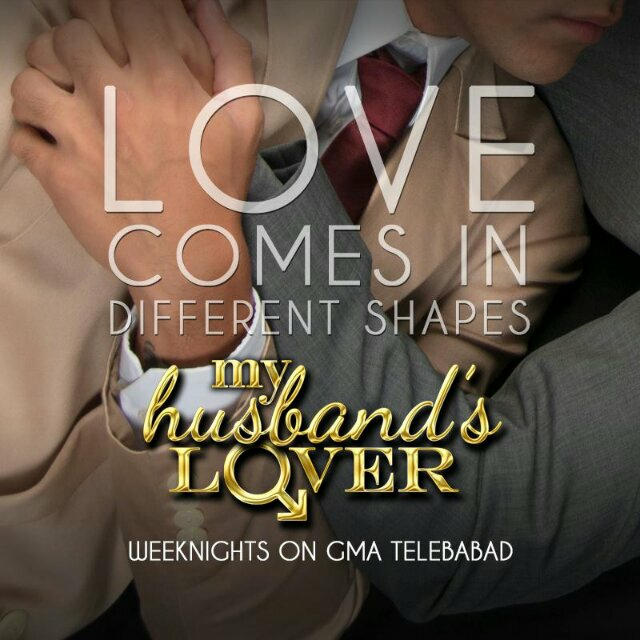 It stars Dennis Trillo (the gay lover), Carla Abellana (the wife) and (ex-ABS-CBN talent) Tom Rodriguez (the gay husband) together with a powerhouse cast led by Chanda Romero, Glydel Mercado, Victor Basa, Roi Vinzon, Pancho Magno, Bettina Carlos, Karel Marquez, Kevin Santos and (the TV acting comeback of) Ms. Kuh Ledesma. 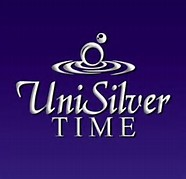 It will premiere tonight on GMA-7 at around 9:45PM.